There is no doubt that when it comes to your wedding day you want to look amazing, feel amazing. When it comes to ladies and their make-up, we are all at different levels with our skills. We end up spending extra money paying someone to do it for us. For some this can end up being more money than we can afford to spend, yet we do it because it is important to feel fabulous. I managed to find a way that worked for me and I would love to share it with you as it is cost effective and a wonderful experience. I found a store that both sells high-end make-up and does a sample make-over in the store for you with their products. You don’t pay for the make-over as such; you pay it back in purchased products from their collection. This way you get your make-up done by one of the professional stylists and you walk out with your ‘tried-and-tested’ wonder products. Now how does this apply to me on my wedding day? Well, for example: I decided to do my own make-up for my wedding as I am most comfortable with this. 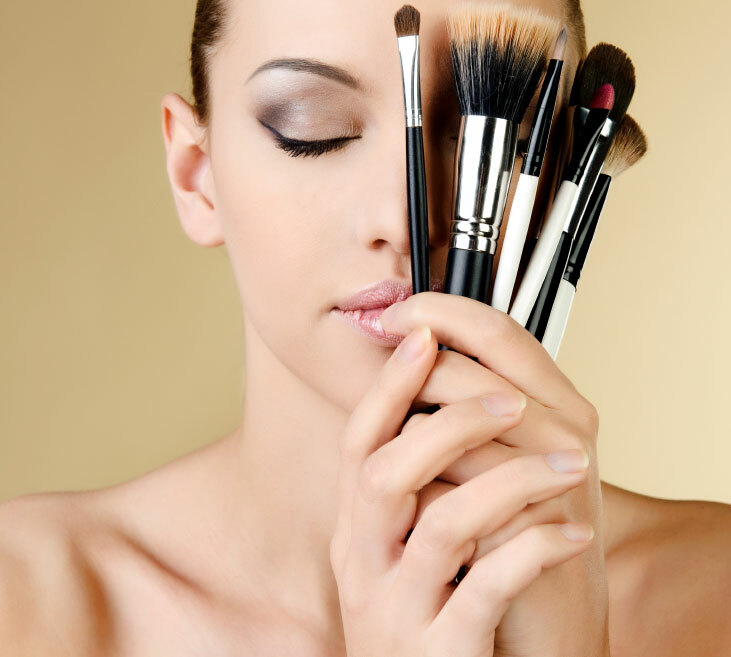 I needed detailing make-up as most ladies have their basics i.e., foundation, eyeliner, mascara. I looked at a lot of magazines and watched a few make-over channels to find the style I wanted to try so that when I walked into the store I was able to tell them exactly what‘look’ I was after. Of course you could also just say, “wedding day”! Then once tested and I loved what I saw I was able to purchase the products with confidence. I chose to do the ‘test drive’ on the day of my hen night, so I felt great and I had the products to touch up my make-up at will. Then on the big day I knew exactly what I was going to do and it worked out great. It cost me under R300 to look great twice and own the products I needed. All in all, a wonderful experience and a great way to keep the fun it what can become business. What if I don’t know how to do my own make-up? Maybe if you connect well with the stylist doing your make-up you could find out what she would charge you to do it for you on your day. There are many other options out there, this is just the method I used and it worked for me. It had to be shared, because maybe it will be just right for you too! It has an essence of retail therapy as you actually own something and you look fabulous after your pamper session. Have Fun!